S/Sgt. G. T. Pace, son of Mr. and Mrs. M. C. Pace, attended Frederick High School and Cameron Jr. College. 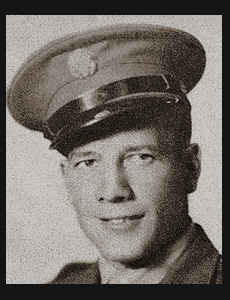 Entered Army in Jan., 1942, trained in Louisiana, Pine Camp, N. Y.; served in N. Africa, Sicily and Italy; was wounded in Jan. 1944; was killed in action in March 1944. Awarded ETO Ribbon with three Battle Stars, Bronze Star, the Purple Heart.